Our professional machines are reliable, efficient, easy to use and adaptable to all spaces. Their design and their advanced technology provide you with a delicious variety of aromas in each and every coffee. It doesn't matter how high your demand is, there will always be an innovative Nespresso Professional coffee machine for your business. Perfect for companies with less than 50 employees. Easy to use, compact, efficient and with high yields. Lets you heat the water with just the push of a button. 2L water tank for greater autonomy. Perfect for businesses with over 50 employees. 3 programmable cup sizes: Ristretto, Espresso and Lungo. Milk foam function for recipes. 6L removable water tank for greater autonomy. Double head for preparing two coffees simultaneously. Modern design and flexible use. Share exceptional coffee recipes with your customers and employee. Professional high yield coffee machine for preparing a large variety of recipes. Perfect for large volume establishments. Has 2 or 4 removable heads for preparing recipes with milk. Function for Cappuccino, Latte and Latte Macchiato. 5L water tank cooled to 4° C.
High performance in a compact coffee machine and unmatched choice of one-touch recipes, Grand Crus after Grand Cru. Has 2 removable heads for preparing recipes with milk. 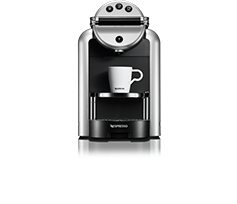 Professional barista tradition perfected by state of the art technology, with unmatched in-cup quality. Has 4 removable heads for preparing recipes with milk. Nespresso Professional offers a simple modular system that integrates payment and storage solutions in your coffee machine. The payment system, which has 4 different settings, can be added to all machines, and lets you use a card, keyring or cash. 4 different configurations: wall, table-top, base cabinet and complete tower. 3 payment solutions: coins, keyring and card. 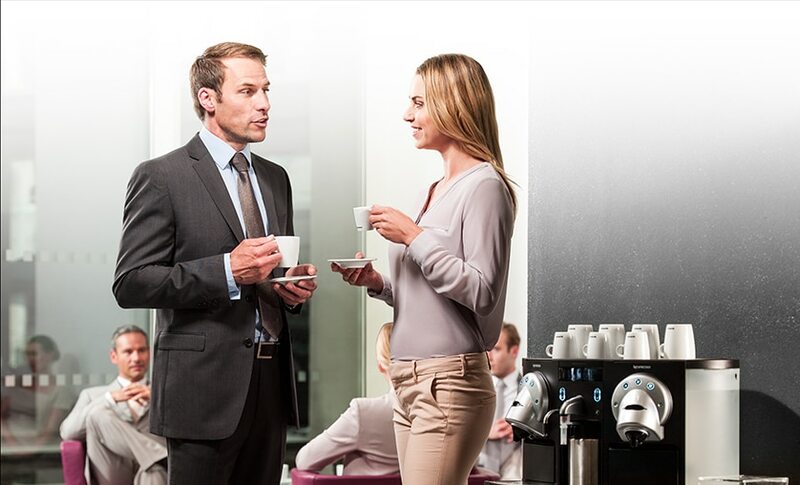 Nespresso guarantees the correct installation of the coffee machine that best fits your business. 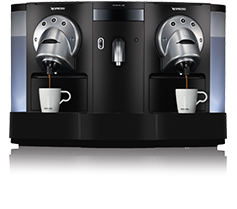 Our pro coffee machines are reliable and efficient, and also adapt easily to all spaces. A range of specialised services for professionals. Nespresso has created a specific range of services to cover all your business needs and guarantees that your professional machine always works perfectly and is in perfect condition. For that reason, we offer you post-sale service prepared to respond quickly to all your requests for supplies, maintenance and technical service. Our specialists evaluate your business needs to recommend you the best coffee solution for you, depending on the type and volume of consumption. Do you need more information? A Nespresso consultant is going to provide you the offer that best works for your needs. Free installation of Nespresso professional machine. Comprehensive maintenance included. 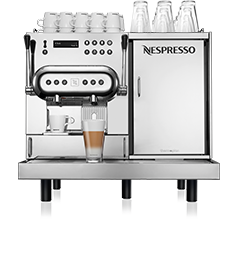 Installation of Nespresso professional machine for your own use on a rental basis. Sale of professional Nespresso machines with two-year warranty. Small, medium or large business? Find a custom coffee solution for your business in 4 clicks. 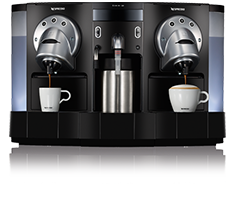 Why select a Nespresso machine for your business? 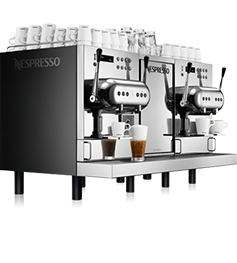 • All professional machines are equipped with the exclusive Nespresso extraction system, so that you can prepare a Ristretto, an Espresso or a Lungo quickly and easily. • You can place your coffee order easily via the website, by ringing a free number, or at your Nespresso Boutique. 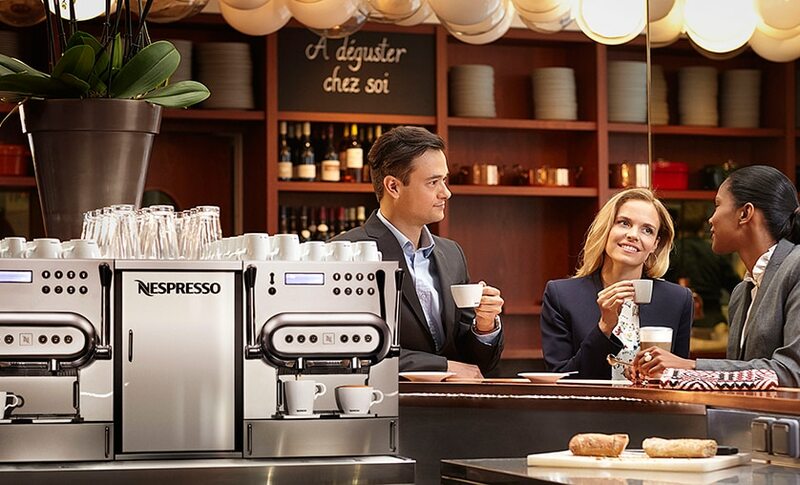 • Nespresso guarantees technical assistance within 2 business days and a loaner machine while yours is being repaired. • Via a high pressure pump, Nespresso machines force the water through the ground coffee at the ideal temperature for preserving all the aromas of our 13 coffees. • Simple and elegant modular system that lets you combine your coffee machine with a payment and storage solution for your company. From Monday to Sunday, 7am to 22pm.